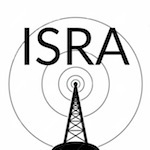 The ISRA weekly net will be on the K3ZFF repeater (145.250) until we can resolve the antenna issues on our 146.94 machine. Welcome to the Idaho Society of Radio Amateurs. Our purpose is to advance the radio art and skills, help club members and others, and have fun doing it. We meet weekly on our 2 meter net, and monthly in person at our club meetings. Feel free to participate. Getting a ham radio license is not as difficult as you may think. Click here to find out more.